The Northamptonshire Police Archive, comprising more than 600 documents, maps and images and covering nearly 200 years of policing in the county, is now available to access. The archive includes material relating to all aspects of police work and is likely to be of great interest to researchers and historians. These records range from civil defence activities during the Second World War, to Daily Journals and maps. The Queen Mother and King George VI visiting Northampton in 1956. There are also many administrative records through which the careers of individual officers can be traced, that could be of particular interest to those whose ancestors served in the force. Another highlight is a series of registers of criminals from 1860 to 1890 that contain early photographs of each offender, with information about their crimes, aliases and sentences. Chief Constable Simon Edens visited the Northamptonshire Archives Service today to mark the occasion. He said: “This is an important historical collection which I’m delighted is now available. Our police archivist and museum curator, who sadly passed away in 2016, volunteered the highest level of care, commitment and passion to our heritage for many years. "We owe him a great debt of gratitude that his dedication resulted in our being in the position to transfer the collection. Staff from Northamptonshire Archives, based at the Record Office, have been working tirelessly to provide this extensive catalogue from which people can now request to view documents in which they are interested. Daily occurrence book from Rushden, 1911-1918. Because of the nature of the information within the archive, some items will be subject to access restrictions. However, this is clearly indicated on the catalogues. 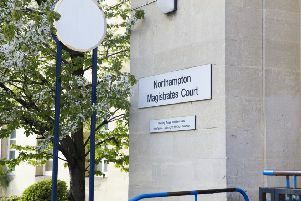 If items are held under restricted access then Northamptonshire Archives may be able to access information through their research service on behalf of others. Matt Bazley, collections officer at Northamptonshire Archives, said: “I’m really pleased that this amazing collection will now be available for the public to access. Notebook from the 1890s containing photographs of prisoners (possibly escapees) country wide. Those wanting to find a particular item can either view the archive catalogue online at or view a paper catalogue at the Record Office. From these they can order individual items from the collection to view at the Northamptonshire Record Office, Wootton Hall Park, Mereway, Northampton NN4 8BQ. Chief Constable Simon Edens checking out the collection.